In the spa industry, competition is fierce, with some markets throwing in more fighters than others. New York City is one of those markets, where the U.S. spa industry set some of its initial footing, and where some of the most unique and luxurious treatments perpetuate. As the old saying goes, “if you can make it there, you can make it anywhere,” as success in the New York City spa market requires a combination of ingenuity, charisma and grit. Gaylen Brown, director of spa at Mandarin Oriental, New York has amassed these traits in her 17 years in hospitality, and she urges spa industry colleagues to be active in the industry and tackle challenges not as setbacks, but as opportunities to grow. Skin Inc. sat down with Brown to learn about the path to her current position, her management techniques and her advice for spa industry survival. Skin Inc. (SI): How did you get started in the spa industry? What was your first impression like? Gaylen Brown (GB): I have been in the hospitality industry for 17 years now, nine of which have been in spa. I’ve always known that my calling was within hospitality. An opportunity for a spa supervisor at The Ritz-Carlton Battery Park presented itself. I ultimately found that I felt most at home in the spa world. SI: Describe your experience in the spa industry over the years? 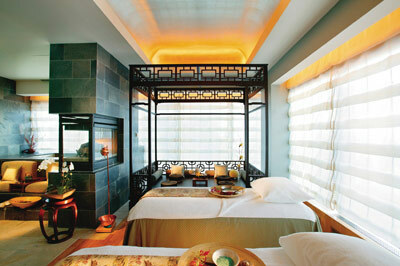 GB: I began my spa career in 2008 as a spa supervisor for The Ritz-Carlton Battery Park in New York City. From there, I took on the role of spa manager at The JW Marriott Essex House and was eventually promoted to spa director at the property. In 2013, I joined Langham Place on Fifth Avenue as director of spa, where I spent two years before taking on the role of director of spa here at Mandarin Oriental, New York in 2015. SI: What do you consider one of your greatest accomplishments? GB: At this moment, I believe my proudest accomplishment has been assuming my role as director of spa at Mandarin Oriental, New York. Each day presents a unique, exciting challenge, and I am proud to work with such a talented group of therapists and managers who not only inspire me, but push me to reach a higher potential. SI: What have you found to be one of your biggest challenges? How did you overcome it? GB: As director of spa, you often find yourself wearing countless hats and no two days are alike. It can be challenging to strike the right balance of serving as a guide to the team and completing initiatives for the property’s various departments while simultaneously working to drive revenue and maintain a healthy business acumen. I consider myself incredibly fortunate to be surrounded by a talented team of spa managers who I trust and can rely on to assist wherever and whenever needed. SI: How do you approach customer service? GB: The Spas at Mandarin Oriental were developed out of a deep passion for wellness that focuses on physical and emotional well-being. As part of our commitment to delivering all aspects of wellness, it’s important that we offer our guests a comprehensive and personalized experience. I also believe that if you are a compassionate leader and attend to the needs of your team to drive colleague satisfaction, it will ultimately have a positive impact on our guests. I find it rewarding knowing that we are providing our guests with a peaceful environment where they are able to address their physical and emotional needs and leave feeling a renewed sense of energy and overall wellness. SI: How do you hire staff? GB: We seek out colleagues who can creatively tailor an experience to each of our guests and who also possess a genuine sense of hospitality as well as an eagerness to learn and grow. SI: What is your process in creating new treatments? GB: Mandarin Oriental’s corporate spa team, based in Hong Kong, is instrumental in developing innovative treatments for the group’s spas. These are then adapted accordingly at each property based on the needs of the individual operation as well as guest demographic. Most recently, we launched our Digital Wellness Escape treatment, a restorative treatment that was created to provide a calming and peaceful respite from the outside world by concentrating on the head, eyes, neck, shoulders, hands and feet to ease stresses and strains resulting from the frequent use of digital devices. 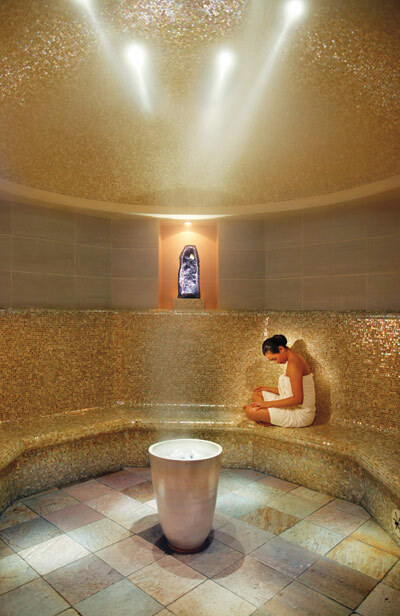 SI: How do you stay abreast of the latest in spa product and equipment technology? GB: I’ve always made a conscious effort to be an active participant in the spa community, attending events hosted by the International Spa Association, Live Love Spa, Spa Buzz, the New York Spa Alliance, among others. These events not only present a unique opportunity to meet with vendors and discover new products and technologies, but they also present the chance to network with other industry professionals to gain insight on trends in spa and wellness. SI: How do you help guide retail? GB: Though we have a manager here responsible for our retail component, I personally enjoy being a part of the process. We frequently collaborate on merchandising opportunities and displays in addition to discussing products that would seamlessly integrate with our offerings. It’s also critical to build strong relationships with vendors, and we are fortunate to have engaged brand partners who will come on property to guide retailing and hold colleague trainings that will further drive retail. SI: What have been some of your key tools in marketing? GB: Guest recommendations and word-of-mouth continue to be our strongest marketing tools in the highly concentrated and competitive New York City spa market. Over the years, The Spa at Mandarin Oriental, New York has been fortunate to develop a strong base of loyal, repeat, local customers who refer their friends, family and colleagues. SI: What one piece of advice would you give to a new spa owner/manager? GB: Take any setback you may encounter as a learning opportunity, and do not be fearful of stepping out of your comfort zone to make a risky decision. GB: We are continuing to see wellness as more than just a trend and now as a way of life where people are determined to maintain an overall healthy lifestyle and alleviate stresses. Spa goers have become increasingly knowledgeable about product ingredients and techniques, tasking industry leaders to seek out products with clean formulations that still yield immediate visible results. We are also beginning to notice the prevalence of a streamlined approach to treatment menus focusing on “face” or “body,” which allow guests to enjoy a more tailored experience to meet their needs on a given day following a therapist consultation. Finally, in a world where we are constantly connected and drawn to digital distractions, it’s becoming more important to discover ways to relax the mind in addition to the body, and we continue to see more guests seeking out moments of quiet and meditation to help drown out distractions.